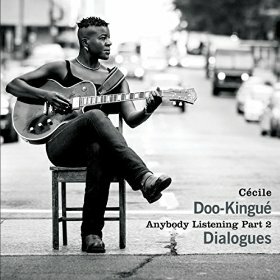 Montreal guitarist and singer-songwriter Cécile Doo-Kingué having hooked me with last year’s Anybody Listening Part 1 : Monologues, has totally reeled me in with her latest release, Anybody Listening Part 2 : Dialogues. Keeping her music on the edge of political and social awareness, Doo-Kingué progresses from the raw and acoustic direction of Monologues by adding more production and electricity, and it sounds terrific. Joining the six new tracks on this twelve track album, are five re-recorded versions of her most outstanding tracks from Monologues : “Anybody Listening”, “Little Bit”, “Six Letters”, “Animal Kingdom”, and “Bloodstained Vodka”. These are tracks I was really drawn to in their original acoustic versions, but I love these new recordings even more. Besides being such a prolific songwriter, Doo-Kingué is quite the guitar master as well. It’s so fun to hear her let loose at the end of “Sunshine Lady”, which by the way features the lovely vocals of Milika Tirolien. 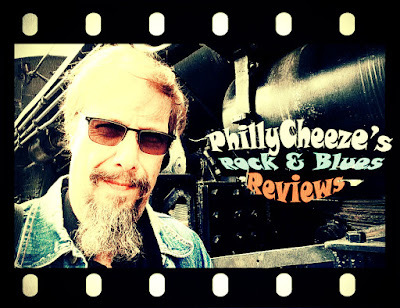 I dig the swampy slide which kick starts the upbeat bluesy gem “Riot & Revolution”. This song gets the blood pumping through the veins and the fists pumping in the air. “Sweet Talkin’ Devil” is quite a sweet surprise too. Doo-Kingué slays this magnificent southern-style rocker about temptation. For a fearless closer, Doo-Kingué tears it up on her killer cover of Jimi Hendrix’s “Manic Depression”. I have no idea what direction Doo-Kingué will take us in on Anybody Listening Part 3, but I’m already on-board, and looking forward to it.